I can hardly contain my excitement for our annual girl’s trip to Las Vegas with four of my best friends. With all of us being very busy mom’s, a weekend getaway like this is something we all look forward to. Of course we try to go every year, but sometimes it doesn’t quite work out. This year is different. 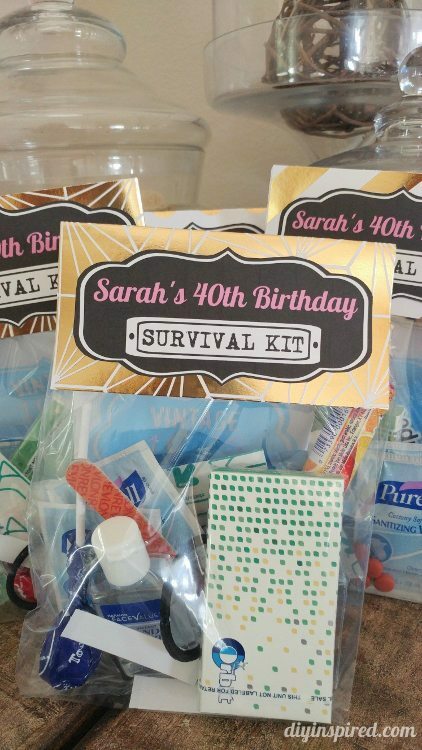 Not only are we all going to make it, but it is also my best friend, Sarah’s 40th birthday. So, in honor of this, I made some party survival kit free printables. 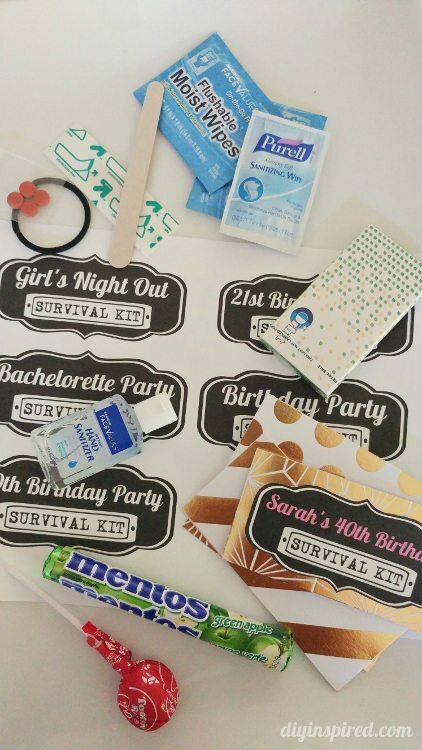 Since we will likely be eating out, dancing, and hanging by the pool I put things like bandages for foot blisters, flushable toilets for questionable public restrooms, and extra hair ties for the pool for inside our kits. Here some ideas for what to put inside your survival kits. I made special ones for our Sarah. I print and cut them out and placed them on metallic gold cardstock. I made the labels in black and white so that they would match any party theme. Just change the background. These labels are 5 inches wide, so be sure to buy the clear party favor bags accordingly. I hope you like them! I can’t wait to give them to the girls! In case you missed them, check out the personalized burlap bags I made one year and some other Girls Night Out printables I made.